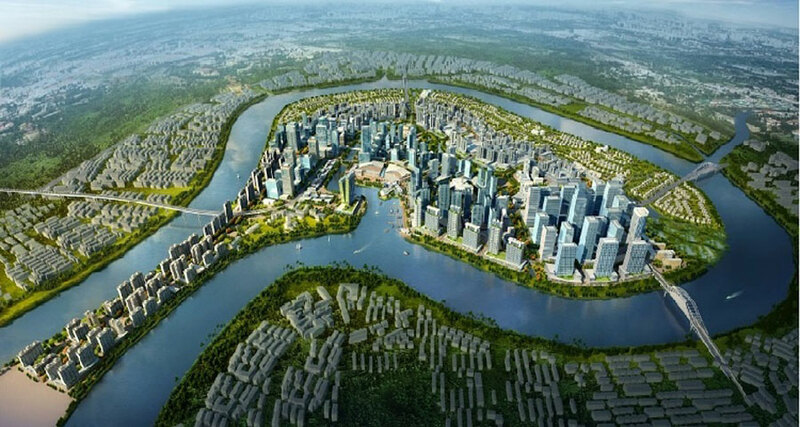 Ho Chi Minh City will hold bidding to select new investors to implement Binh Quoi – Thanh Da urban area project. 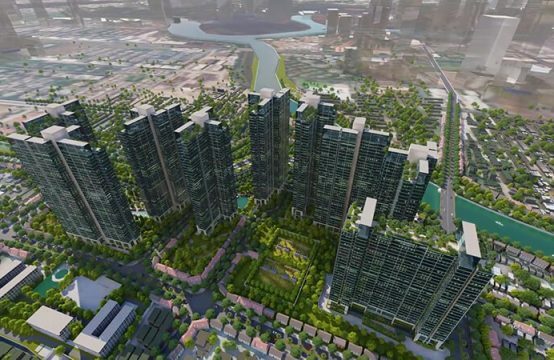 This is the latest information from the Office of Ho Chi Minh City People’s Committee, specifically the agency said that the Department of Planning and Investment advised the City People’s Committee held a bidding to select investors to implement the project area Urban Binh Quoi – Thanh Da. Accordingly, the selected investors must have strong financial capacity, experience in large scale projects to ensure feasibility, projects are deployed quickly. The report also clarifies the legal basis, favorable factors to choose the form of bidding for selection of investors, specific procedures for the selection of investors, criteria for selection of investors. Criteria for selection of investors is to have the content of collateral with the amount of money sufficient to carry out compensation and site clearance, with legal guarantee of credit institutions to select the real investor. have financial capacity and experience. Then submit to the Chairman of the City People’s Committee Nguyen Thanh Phong for advice of the Standing Committee of the City, before reporting to the Standing Committee of the City. In addition, the HCM City People’s Committee also assigned the Department of Construction to advise and recommend the issuance of temporary repair permits of households and send the Department of Planning and Investment to the city to review this month. Because this is a large-scale, complicated project, the time for selecting investors, implementing the project is extended so the work is aimed to avoid causing urgent, affecting the lives of households in the area. 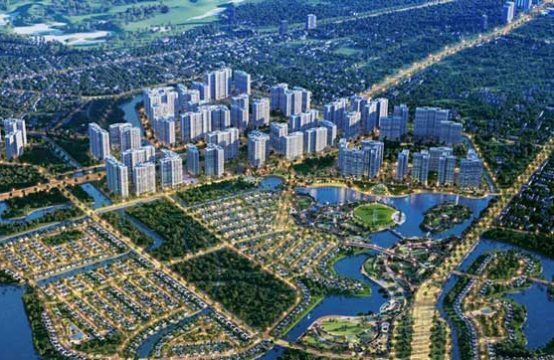 Binh Quoi – Thanh Da peninsula urban area has been approved by the People’s Committee of Ho Chi Minh City since 1992. The project is planned to be a fully functional urban area, meeting 41,000-50,000 people. , land use scale 426 ha. Total project investment is estimated at VND 29,900 billion, of which ground clearance cost is estimated at VND 22,700 billion, the rest is investment cost for infrastructure construction. In 2004, the project was assigned to Sai Gon Construction Corporation for investment. However, the time has passed but the project is still “real estate”, by 2010 the city has recovered and handed over to a planning company 1 / 2.000. 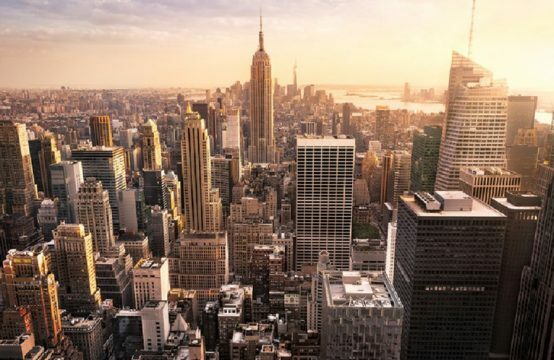 One year later, the project was approved by the Prime Minister to designate the Bitexco Group and Emaar Properties PJSC (United Arab Emirates) as the investor of the project. But for many reasons, in October 2016, Emaar Properties Company PJSC withdraw from the project. 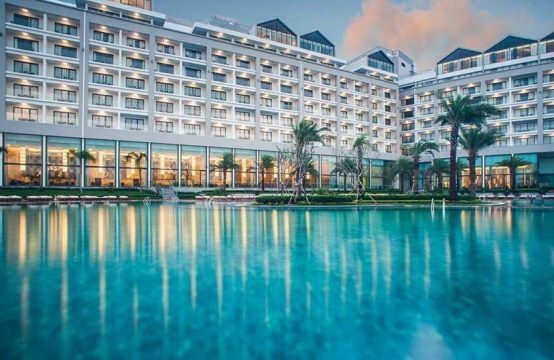 According to Mr. Su Ngoc Anh, Director of Department of Planning and Investment of Ho Chi Minh City, the foreign partner withdrew with subjective and objective reasons. They need clean land, unit price. Meanwhile, the city wants to price land people are living through many procedures. During the negotiation, the partner has withdrawn from the project, and this project can not be done overnight. Although Bitexco Group has proposed phasing out of Binh Quoi – Thanh Da peninsula project in two phases, however, the project is still standing still. 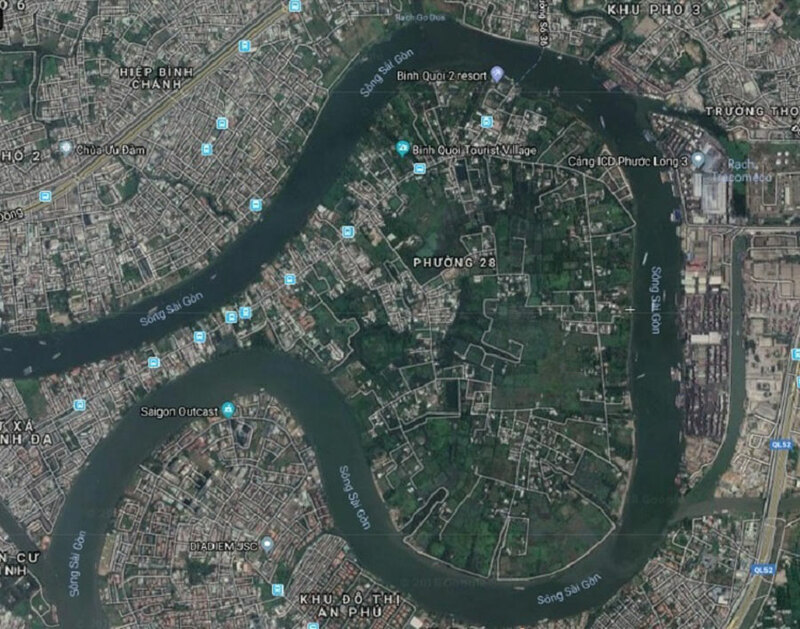 Satellite map shows that the speed of Binh Quoi – Thanh Da is now far removed from many other areas in HCM City. So after 26 years of planning hanging with many times changing investors, this project has returned to the starting line for new investors. 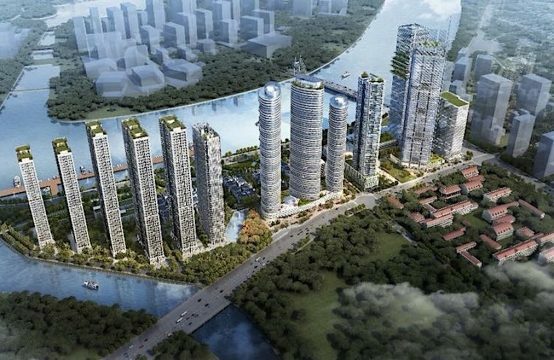 According to information from the press, at present, the project of Binh Quoi – Thanh Da urban area still has more than 3,000 households living to lay the fate of the project from 1992 to present. 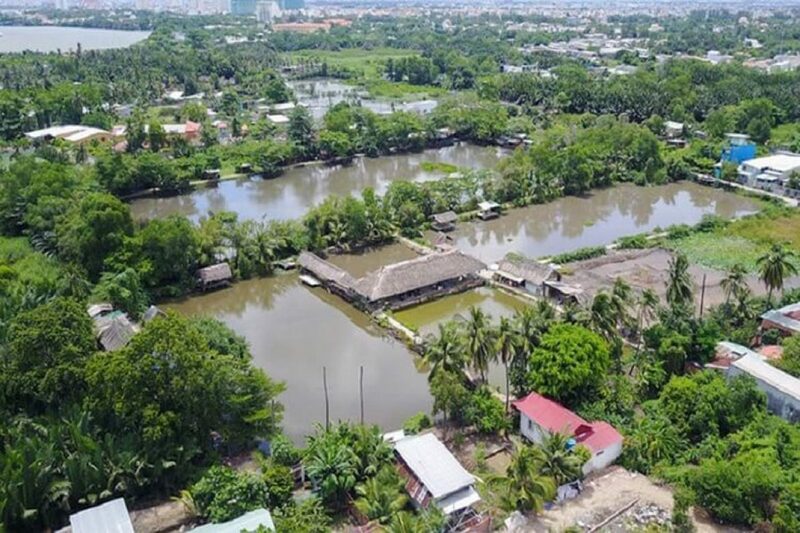 You are reading the article The latest information about Binh Quoi – Thanh Da with the scale over 400ha in the Real Estate category at https://realestatevietnam.com.vn/.Any information sharing, feedback please email to info@realestatevietnam.com.vn, Hotline 0909890897 (24/7).